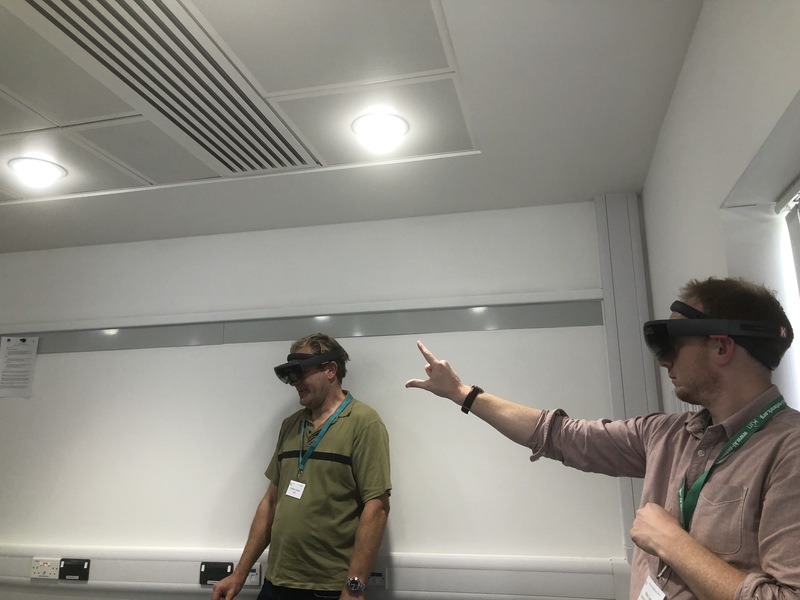 Learn what happened when Kazendi attended the Knowledge Innovation Workshop at Warwick University to showcase HoloMeeting and the latest in what Mixed Reality collaboration can bring. "Augmented and Virtual Reality in the workplace - how innovative technologies are shaping the way that work is done. How can we enhance our own capabilities?" This was the subject of KIN's Autumn Workshop on 12th September. 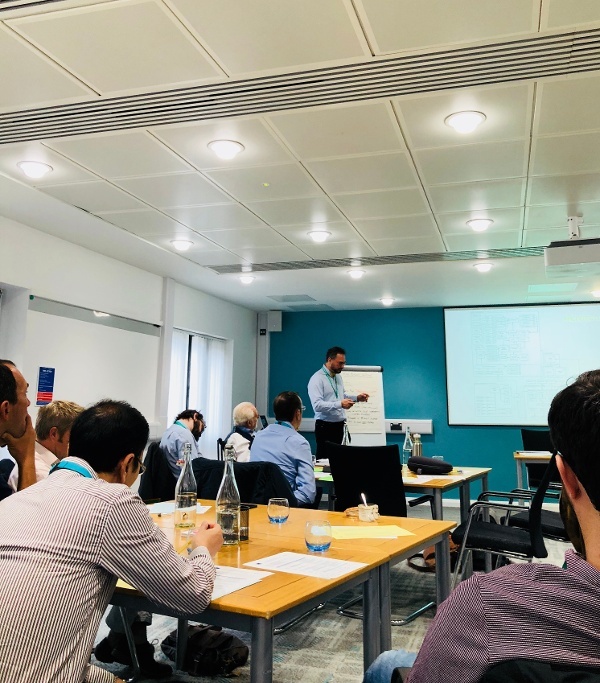 KIN is part of the IKON Research Unit based at Warwick Business School connecting peers, practitioners, researcher and experts. A range of KIN's activities include workshops and special themed meetings. The location of the autumn Workshop was Warwick conference centre near WBS. The schedule for Monday included a pre-workshop guided tour by Warwick Manufacturing Group (WMG) though their research labs on the campus. Followed by a networking dinner, the tour gave delegates a special insight into WMG's work. The manufacturing group focuses its research on several aspects of the automotive industry and collaborates with numerous big manufacturing companies. Creating lightweight and environmentally friendlier automobiles as well as more productive production processes are part of their research. A high number of researchers focus on the production, research and testing of batteries. Tuesday, the day of the workshop, started with three interesting presentations. Jeremy Dalton gave in his talk an insight into the current and emergent business opportunities provided by AR and VR technologies. Jeremy leads PwC's Virtual and Augmented reality team and helps clients implement the benefits of these immersive technologies. He is also co-president of the VR/AR association, a global trade group for virtual and augmented reality. The second speaker was Fridolin Wild, Senior Research Fellow of the department of Computing and Communications Technologies at Oxford Brookes University. He leads the Performance Augmentation Lab (PAL) and aims with his work to close the gap between abstract knowledge and its practical application. He has been leading numerous research projects about the use of innovative technologies in space and gave the workshop delegates exciting insights into his work. 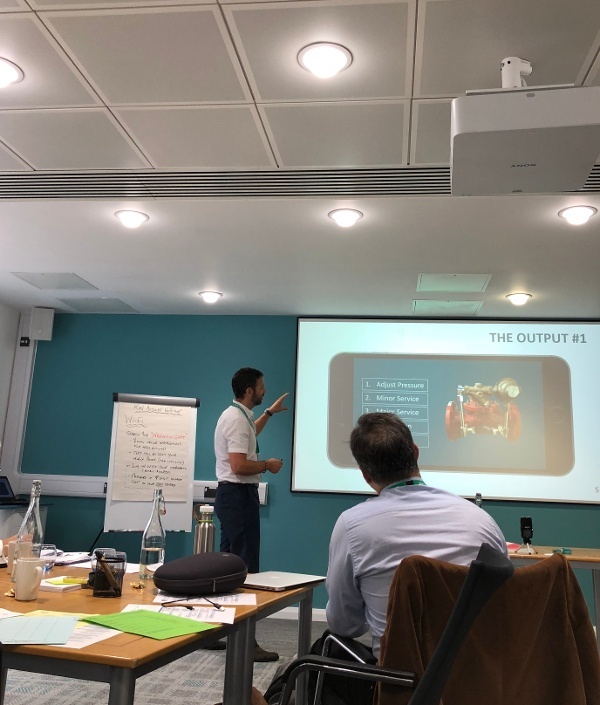 Last but not least, we listened to Christopher Dale about an Augmented Reality use case of Severn Trent Water. Christopher is a member of the Chief Engineer's department: besides creating training packages he looks for new, innovative ways to transfer knowledge. His use case was about an important asset for the regulation of water pressure for which employees required a specific training. With the aid of a "Digital Twin", an app guides engineers through the installation / maintenance process. Chris' goal is to perfect the app and its usability so that in the future anyone will be able install this essential asset. In the afternoon we got the opportunity to showcase HoloMeeting alongside two other immersive solutions. Mbryonic showcased an art installation from Tate Modern London: the company builds brand experiences and helps companies communicate more effectively with their customers. Cognitant, a business with the goal for people to better understand their health, demoed a Virtual Reality training solution for doctors when assisting a birth. Above all, Cognitant creates immersive content and connects patients to relevant information endorsed by doctors. We thank them both for making the innovation expo immersive. HoloMeeting, our own immersive collaboration solution, triggered lots of enthusiasm and amazed faces. 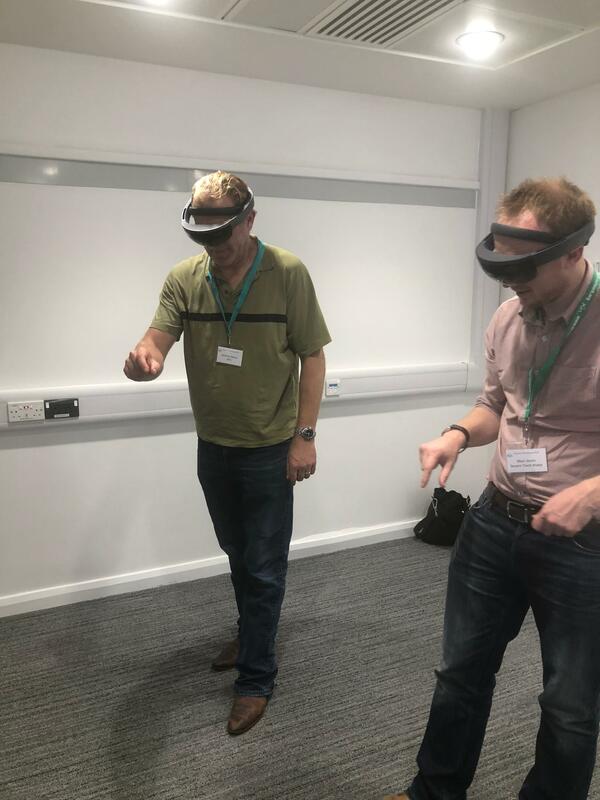 While giving as many demos as possible of what is often referred to as "holoportation", interesting conversations about possible use cases came up. One of the questions discussed was whether HoloMeeting could help connect remote teachers to pupils in areas with lack of public transport/ in developing countries. Other questions like the "process costs" of transforming essential files for companies using HoloMeeting into shareable 3D models were quickly resolved: since HoloMeeting supports more than 60 different file types, no extra work needs to be done than saving the files to a one drive account. We had a good time at the workshop learning about interesting researches and (future) use cases for AR/VR in enterprise. We hope to have triggered excitement about the future of collaboration and hope to be back at one of KIN's workshops soon. With more interesting use cases and a new, improved version of HoloMeeting.